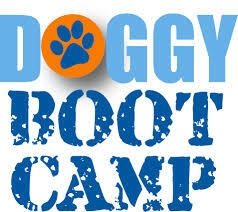 The Behavior Barn at Day Hollow Animal Hospital is now offering Boot Camp! What is Boot Camp? Boot Camp is a dog training service for those dog owners who are unable to train their dog on their own. Some dog owners find themselves with a dog that is too strong, too distracted or they just don't have time to dedicate to training. Boot Camp allows you to drop off your dog(s) with our Professional Dog Trainer for a one on one customized training session. There are many reasons why Boot Camp may be a better choice than individual private sessions or group classes. Boot Camp offers the advantage of customized instruction with one on one attention given to your dog. Boot Camp is a great option for dogs who aren't suitable for group classes due to aggression, fear, anxiety or hyperactivity. It's also a very flexible option for the busy dog owner. Is hyperactive or have "ADHD"? Show aggression toward other people, children or other dogs? Bolt out of open doors? Refuse to come when called? Who benefits from Boot Camp? #1 YOU! Too busy to commit to a regular scheduled group class? Need your dog to do more than just sit, down, stay? Have a dog that is too strong for you to control? Have a dog that doesn't listen? Boot Camp includes initial evaluation, customized training session with our Professional Dog Trainer and dog owner consultation. You will go home with a customized behavior plan for building and maintaining good behaviors at home.